Honestly this trip was WAY too much for me as I did not train (this was couch to 12miles) nor did I have any idea of what I was doing, but I always wanted to cross off backpacking from my bucket list and my husband knows what he is doing, so I tagged along. The first 4 miles were uphill and we ascended 1800 feet. Even the first 2 miles I felt like I was adjusting my pack consistently but the weight was way more than what I was used as a day hiker. I’ve hiked a lot before but not with almost 30lbs on my back. Thanks goodness Deuter makes their packs so the hydration bladder can go on the outside of the main compartment as my sleeping bag did not fit in the “sleeping bag compartment” even compressed down. I have a Deuter Futura 34L for women. (try steapandcheap.com for deals on gear). 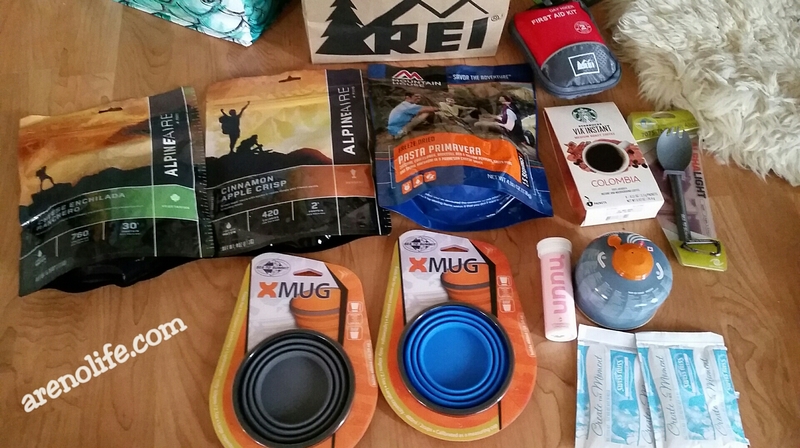 And the suspension on the pack is not made for that really that kind of backpacking….I also got measured at REI and found out the pack is too short for my torso, ugh. LESS is best!! We didn’t over pack…..well, expect water as the drought in California was a concern and my goodness that was heavy but I would consider lighter gear: sleeping bag, pad, tent. 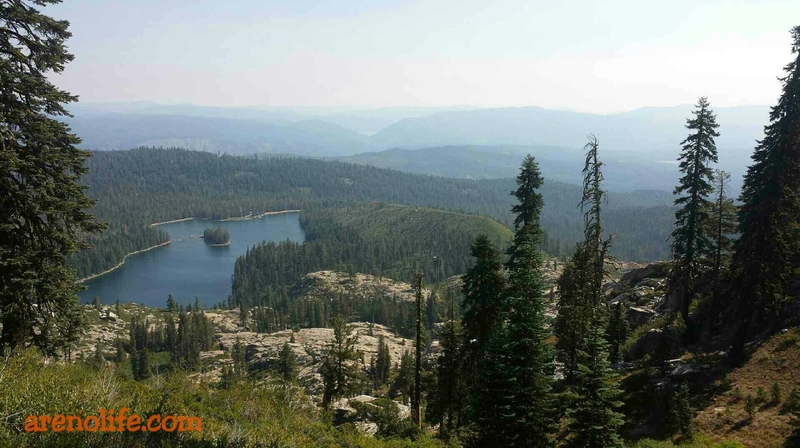 Flips flops were key when we got to camp – I was so thankful for my Wal-mart $0.99 flip flops that I just looped through a strap. I should have brought more freeze dried food. Luckily we had enough and they hit the spot when you are exhausted. I recommend Mountainhouse pasta primavera. It’s like a cheddar cheese soup with spiral noodles, zuchini, red and yellow peppers, broccoli and more. SO good!! My sleeping pad – is heavy (2 lbs. 10 oz.) for backpacking so it’s a catch 22 when I complain about weight but man, do I sleep well on this pad. REI now makes the same pad at 1/2 the weight. It’s only 20″ but the long version is the same length as the Incamp. The new pad is the REI Cirrus Insulated Air Sleeping Pad. Anyhow, I would be willing to find a lighter one….I’m a side sleeper so I need some cush under the hips. Flip flops – it was so nice to just chill at camp with these. 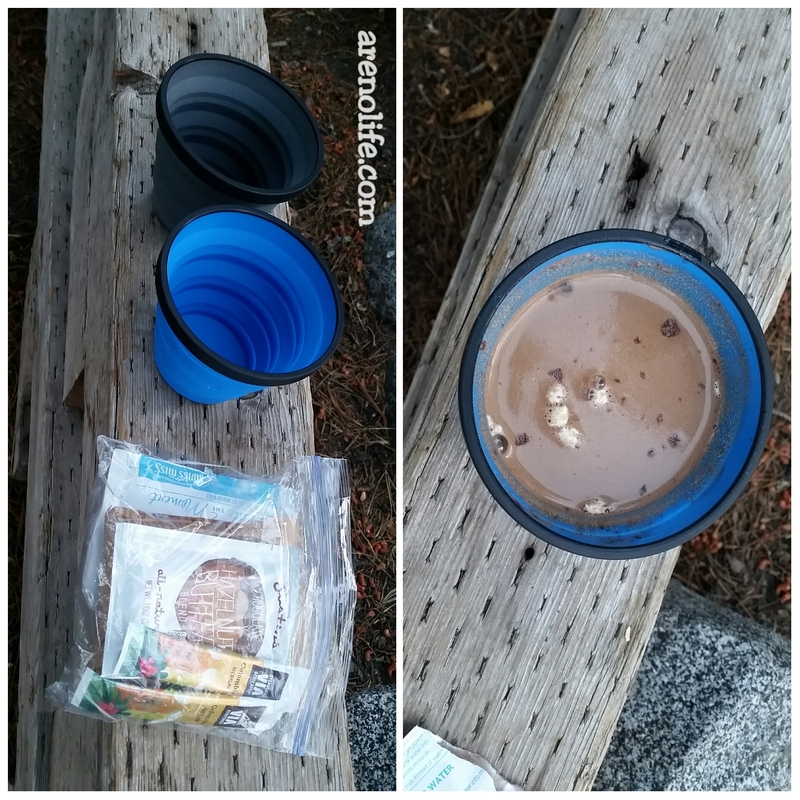 Collapsible mugs – Sea to Summit X-mug. Perfectly fine as a mug or a bowl. Convertible pants – I wear Prana Monarch. I love these for travel as well. 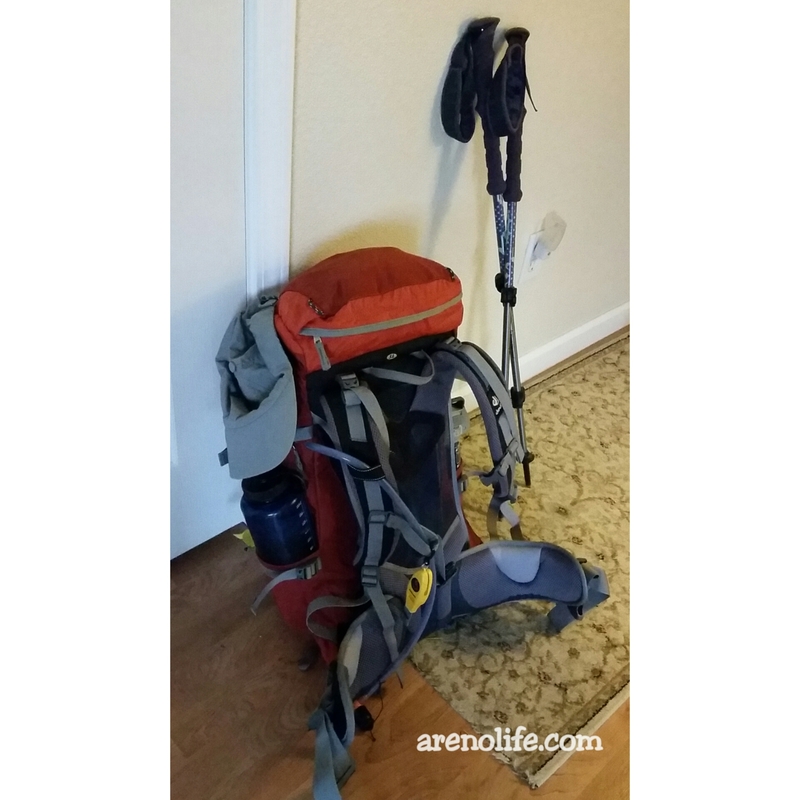 Trekking Poles – I just have some Black Diamond ones that I received as a gift. They are on the budget but hey, they work and I like’em. Nuun tablets – Strawberry Lemonade was delicious! Instant starbucks coffee – mixed with hot coco is a nice mocha in the morning. Some sort of game to play – After a cat nap, we felt refreshed and wanted to do something but conserve energy. I would love you for you to leave a comment below!! Previous Post Small House Living & Why I Like it!